Before we begin, I wanted to let you know that we are accepting applications for guest posts and regular writers. If you are interested, please send us a contact us so we can get you the details. We have many more collaboration opportunities available. Here is our 3000 foot overview of the types of Disney Resorts. You can read about each type and some of the specific resorts at each of the links below. Before I give a brief overview of the different types of accommodations found at Disney Parks and Resorts, let’s talk about the perks available at all properties owned by Walt Disney World. We will discuss Disneyland and other property perks at a later time. There are definitely perks to staying on property! Now, let’s take a very brief look at the different resort and hotel options. Keep in mind this is a 3000 foot overview and more details will be provided with each hotel review this year. Be sure to subscribe to our newsletter so you don’t miss a single review! 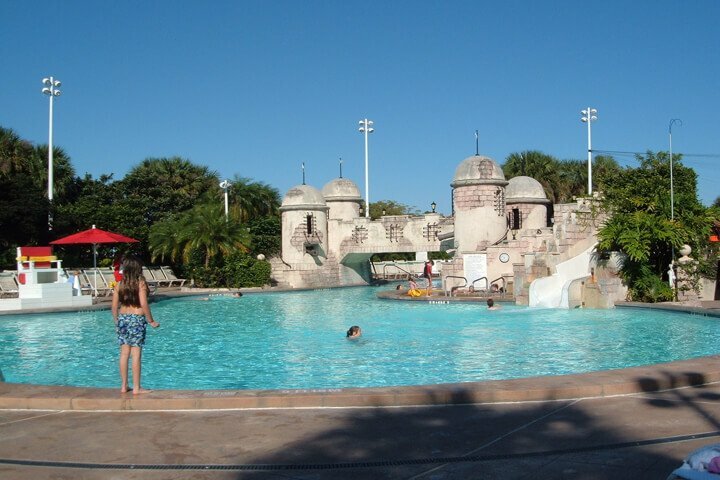 As you can imagine these are the most luxurious (and expensive) of the Disney resorts. These resorts have the largest rooms on property ranging from 344-365 depending on whether you are in a DVC or regular room. Some rooms have murphy beds and can sleep 5 guests. There is usually a signature table service restaurant in addition to the counter service available on all properties. The footprint of the resort is smaller than the other types making the walking distance between your room and the resort amenities shorter than on the Moderate and Value resort properties. Moderate resorts generally have a larger footprint, the rooms open from an exterior door and are approximately 314 square feet. Moderates have multiple pools and multiple buildings. They are always well themed, though less extravagant, but appeal to both children and adults. As the name implies, the price point is mid-range of the three resort types. Murphy beds are also available in select rooms. Value Resorts are have larger than life in your face icons and offer the biggest kid appeal of the three resort properties. (The pools at all three types, however, are pretty appealing no matter what your age). The price point being, of course, the lowest of the three. The rooms also have exterior entrances and very large footprints. Walking at Disney is expected so I don’t usually find this to be a hindrance for our family. There is a food court on site as well as arcade centers and transportation to the parks. Keep in mind, however, that most value resort rooms are small at only 260 square feet and only sleep four. Art of Animation does offer a family suite as does All Star Music, but these often increase in price to that of a moderate so consider this in your planning. 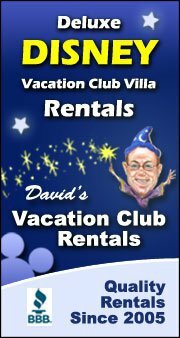 Besides these types of regular Disney resorts, there are Disney Vacation Club (DVC) properties. Most of the Deluxe resorts have their own DVC properties on site. DVC is a timeshare opportunity offered by Disney. However, you can rent points from DVC owners and stay on property at a very reduced rate. I talk about this in Five Ways To Stay on Disney Property and Not Go Broke. If you are interested in non-Disney property reviews as well, be sure to check out Enjoying The Days review of the Westgate Vacation Villas. We will also be covering properties in some of the other Disney Parks and Resort locations including Disneyland, Disneyland Paris, Disney Cruise Line, and other Disney and DVC properties around the world. However, for today, we wanted to introduce you to our new plans for 2018’s Mouse Fan Mondays and give you a brief overview of the numerous Disney Parks and Resorts. Enjoy the other blogs that link up today and tell everyone about Mouse Fan Mondays. When we can, we love staying at the Deluxe Resorts for the reasons you listed! We like the larger rooms, smaller resorts, and shorter commute to the parks. We also love some of the more non-traditional stays like the Fort Wilderness Cabins. Look forward to learning more about the difference resorts on #MouseFanMondays! Most of my friends refer to me as “the Disney expert”,but they fail to understand that my knowledge is best at Disneyland, not World. I LOVE having this group as a reference to easily find relevant blog postings to share with these friends when they have questions I cannot answer.